We will be launching our 2nd workshop, for building the 1st LIFEHAUS prototype in the Middle East in the village of Baskinta, in Mount Lebanon. The workshop will include interns who will learn different LIFEHAUS construction techniques, and professionals who will lead the tasks. In this workshop we intend to create a LIFEHAUS community composed of impassioned people interested in passive, self-sufficient, low cost housing, constructed with recycled materials. This will make for a unique experience for each and every trainee, intern and professional. - The collection of rainwater and its recycling, with all the accessories and lifestyle habits needed for the reduction of water consumption. - How to reduce power consumption. - How to build tire walls; including plastering, and isolation from moisture, water. 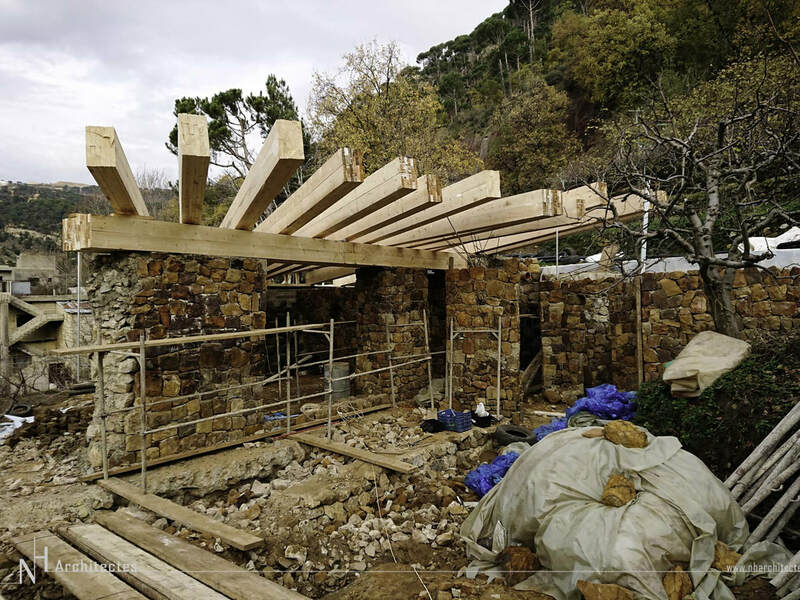 - How to benefit from the soil’s thermal mass to heat and cool the house. - How to install an efficient ventilation system that doesn’t affect the inner temperature. - How to build glass bottle walls, plastered with mud. - How to make rammed earth grounds. - How to make on site low-cost natural thermal insulation from. - Raw earth and lime plastering / painting. - Traditional means of food conservation. - Water and thermal insulation systems. - Adobe walls building technique. - Perennial cane pergolas construction technique. The workshop should start once the funding of the prototype is complete. 40.000 $ are required to be able to restart the construction in spring. We will fix the dates as soon as possible. All those willing to participate in the workshop can send us an email, mentioning his/her name, address, and phone number. ​More details are yet to come.